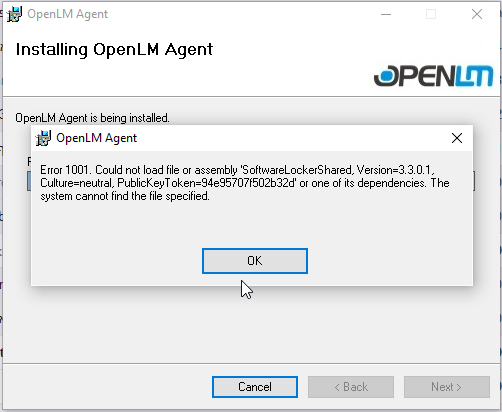 One Sisyphic method of overcoming this issue is to erase all OpenLM entries in the Windows registry. Don’t. We have found it very useful.